The ever-outspoken Charlamagne Tha God looks ahead to the 2020 presidential election, weighing in on who he'd like to run for The White House. Larry King: Sure is early, is there someone you’re looking forward to run in 2020? Charlamagne tha God: I wouldn’t mind seeing Elizabeth Warren either, in 2020. Those are the two people I have in mind right now, but I mean I’m open to see what develops in the next couple of years, because I feel like we’re dealing with a whole new brand of politics right now. Larry King: Cory Booker’s your senator right, you live in Jersey. 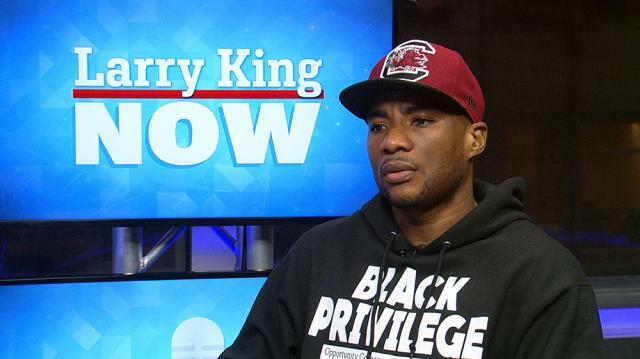 Charlamagne tha God: Yeah. Absolutely.